For nearly two decades, Renewal by Andersen® has provided homes with our efficient, minimal care replacement windows. Our Green Seal products marked an industry innovation as the pioneer windows to meet the efficiency requirements to be marked green. 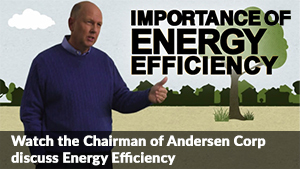 Additionally, Energy Star named Andersen the National Window Partner of the Year, the first window manufacturer to be awarded with such prestige. Energy Star again praised us by presenting the 2012 and 2013 Sustained Excellence Award, given only to companies named Partner of the Year for three or more years consecutively. Renewal by Andersen® of San Francisco upholds the honor of Andersen Windows, servicing replacement windows for San Francisco. We follow in the adherence and commitment to the environment of our parent company, providing long lifecycles in our products, avoiding construction waste and polluting the earth with rubbish. Our materials are manufactured to remain durable to protect your home and cut costs in energy. 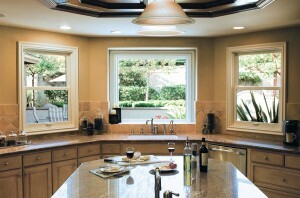 Windows play a role in your home’s heating bill; they can account for upwards of 40% of loss of heat. Each of our windows is framed with our patented Fibrex composite which holds the strength of wood and the simplicity and ease of vinyl; this material allows thinner frames and sashes with larger panes of glass with a tighter, more snug fit to eliminate your indoor air escaping. Our windows meet even the most stringent indoor air quality emission standards; poor indoor air quality invades by means of material emissions from construction or renovation, ranking as one of the top five health hazards in North America. We meet our goals by replacing San Francisco windows with only the most elite materials to protect your family. Know that Renewal by Andersen® of San Francisco will service your home with products that are continuously awarded for their return to your budget and the environment.